Our furniture can act as the perfect canvas to add those gorgeous floral finishing touches. This Spring, we are showing you two simple ways to use flowers to transform your event furniture. 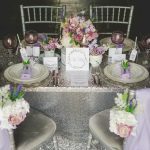 Silver or grey is the perfect base for both lavender and blush pink tones. 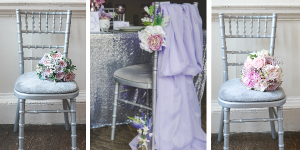 Pictured above is the stylish Silver Camelot Chair, dressed with lavender satin draping, a grey seat pad and floral accessories – all beautifully styled by Newbury Wedding Services. 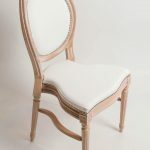 Achieve this timeless look with any of our natural wooden chairs (shown below). The limewashed wood will act as a warm base tone for the rich green of the hanging vines and table runners. 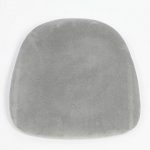 Pair your chairs with an ivory or white seat pad and you have yourself a wonderful rustic look. Tip: Intertwine your table runners with battery powered fairy-lights for a warm glow. For this look, there is a chair choice to suit all tastes and budgets. 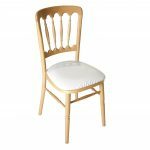 The Cheltenham Banquet chair has a classic style and is a wonderful budget option, with the Limewash Camelot also being a rustic or country wedding favourite. 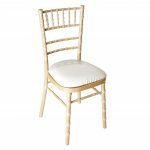 The elegance of the French-style Limewash Isla Chair is second-to-none, making it perfectly suited to those seeking a touch of luxury at their event. 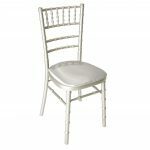 If you’re finding it difficult to decide between the chairs (let’s face it, they are all gorgeous! ), then you could even combine two. Why not have the Limewash Isla Chairs to make a top table stand out, with the Limewash Camelot Chairs throughout the rest of the room. 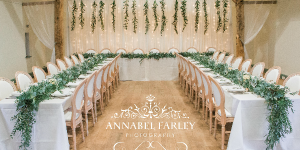 The photography in this feature is courtesy of the talented Annabel Farley Photography. 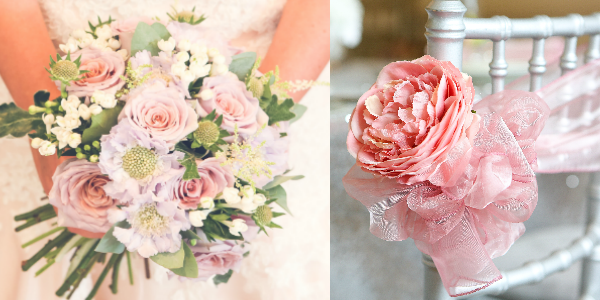 For more country wedding inspiration, be sure to check out our Country Wedding Showcase.